Palm Springs is home to over 44,000 people and is a hotspot for outdoor recreation including biking, hiking, and rock climbing. There are many neighborhoods that make up Palm Springs allowing for you target your audience with many effective advertising opportunities. 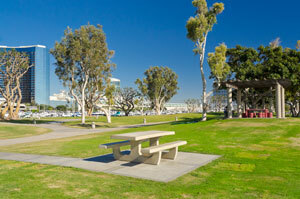 Some notable neighborhoods are El Rancho Vista Estates, Warm Sands, and The Mesa. There are also many attractions perfect for out-of-home advertising. Billboards near the Aqua Caliente Cultural Museum or Aqua Caliente Casino would allow you to get high traffic exposure of your business. Billboards on SR 111 or I-10 would be another great billboard possibility. Zip Codes: 92262, 92263, 92264, 92292.